Pamela Wible has collected more than 1,200 stories of fellow doctors who’ve taken their own lives. As Dr. Pamela Wible sat in the second row of a funeral for a fellow physician who took their own life, she began counting. She could name ten doctors that she personally knew, off-hand, that had died by suicide, including three from her hometown of Eugene, Ore.
"These were awesome docs – top of their field, top of the game – and suddenly dead," she told Out in the Open host Piya Chattopadhyay, "That was a huge wake up call for me." Since then, Wible has been on a mission to find out more, by collecting and telling stories of other doctors who've died by suicide. She's received accounts from all across the U.S. – a list that now totals more than 1,200 people. A survey released in the fall of 2018 from the Canadian Medical Association found that one in three physicians experience signs of depression. Mental health challenges were particularly widespread among early-career doctors, and doctors working in hospitals. "Any culture that has a sense of bravado, where that culture values self-sufficiency, and being stoic, not talking about your emotions, your feelings, not reaching out for help, will only drive burnout further underground," CMA president Gigi Osler told CBC Radio's The Current after the survey was released. But Wible believes using terms such as "burnout" creates a culture of blaming healthcare professionals, rather than the respective healthcare systems. 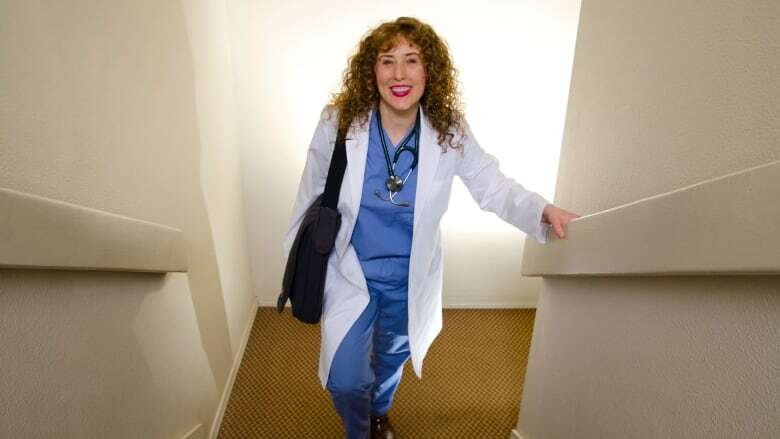 According to her, many young doctors are overworked, under slept, and routinely exposed to traumatic situations. In her mid-30s, Wible also experienced suicidal thoughts. At the time, she became disillusioned with the medical profession. She was tired of being a "seven-minute physician," and likened her job more to factory work, than to caregiving. After six jobs in the span of ten years, she had enough. But by then, her mental health had gone into a tailspin. At one point, she spent six weeks mostly lying in bed, hoping she wouldn't wake up each morning. "I just felt like I had spent my entire life reaching for a dream that was now impossible," she recalled. Eventually, Wible's solution to her own struggles was to open up her own clinic – one in which she could practice the kind of caring, patient-focused medicine she always dreamt about. For others, she suggests asking for help when needed. She also believes that the onus is on the hospitals and clinics to provide care for doctors and nurses. "On-the-job mental health support should be available 24/7 for people who are witnessing death and suffering all day long," Wible said. This story appears in the Out in the Open episode "Helplessness".